At crime scenes, Eddy Harkness is a human Ouija board, a brilliant young detective with a knack for finding the hidden something—cash, drugs, guns, bodies. But Eddy’s swift rise in an elite narcotics unit is derailed by the death of a Red Sox fan in the chaos of a World Series win, a death some camera-phone-wielding witnesses believe he could have prevented. Scapegoated, Eddy is exiled to his hometown just outside Boston, where he empties parking meters and struggles to redeem his disgraced family name. Then one night Harkness’s police-issue Glock disappears. 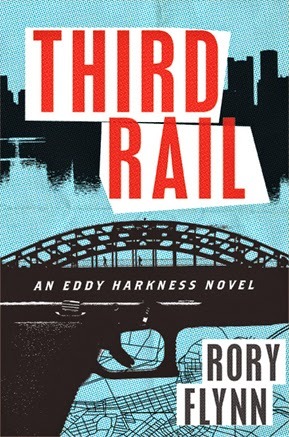 Unable to report the theft, Harkness starts a secret search—just as a string of fatal accidents lead him to uncover a new, dangerous smart drug, Third Rail. With only a plastic disc gun to protect him, Harkness begins a high-stakes investigation that leads him into the darkest corners of the city, where politicians and criminals intertwine to deadly effect. 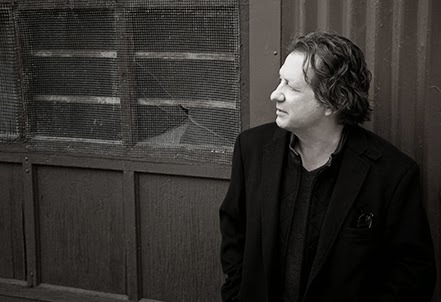 Rory Flynn is a Boston-based mystery writer whose novels include Third Rail, the debut of the Eddy Harkness series (Houghton Mifflin Harcourt, June 2014). Author Jess Walter (Beautiful Ruins) calls Flynn "a suspense writer to watch." And readers compare his work to Robert B. Parker, Richard Price, Dennis Lehane, and George V. Higgins. Sounds good. I'm currently reading a similar kind of book.